Not just for Christmas, but they have such a lovely vintage look together. 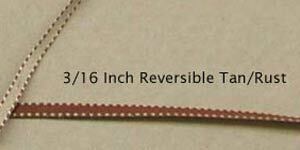 Note: this is only for the thin reversible tan/rust satin ribbon - and almost sold out! Also: the sweeper fringe in the bottom of the photo is now on its own page (see the link below).